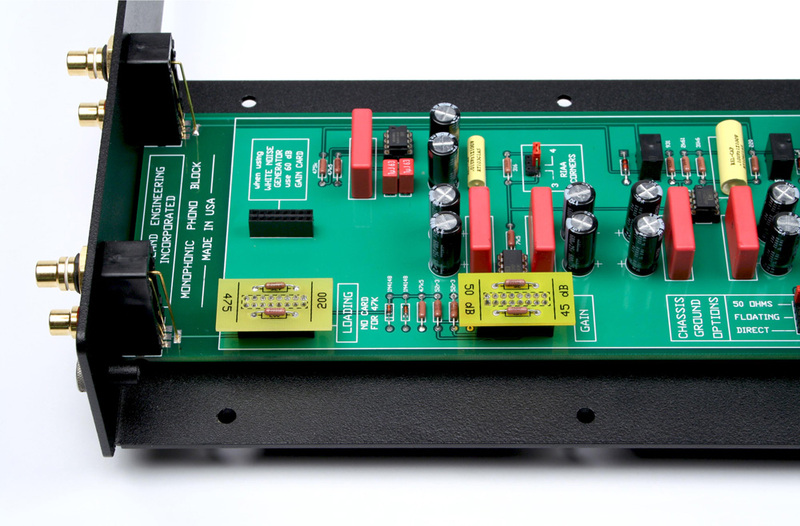 The PhonoBlock is the phono preamp I designed for my home system. Its design was a self indulgence. I built it to please me. There was no consideration to accommodate any market influences. 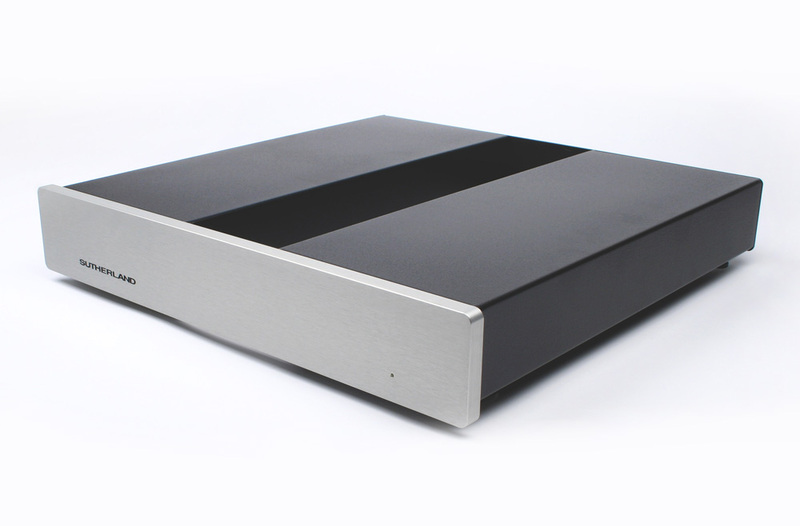 That mind-set gave me the absolute freedom to build an uncompromised and, in my opinion, the best phono preamp. Another path to the same destination. Almost always, upscale designs are laden with features. More features are touted to represent advancement, product differentiation AND a rationale for the upscale price. The PhonoBlocks don’t play that game. 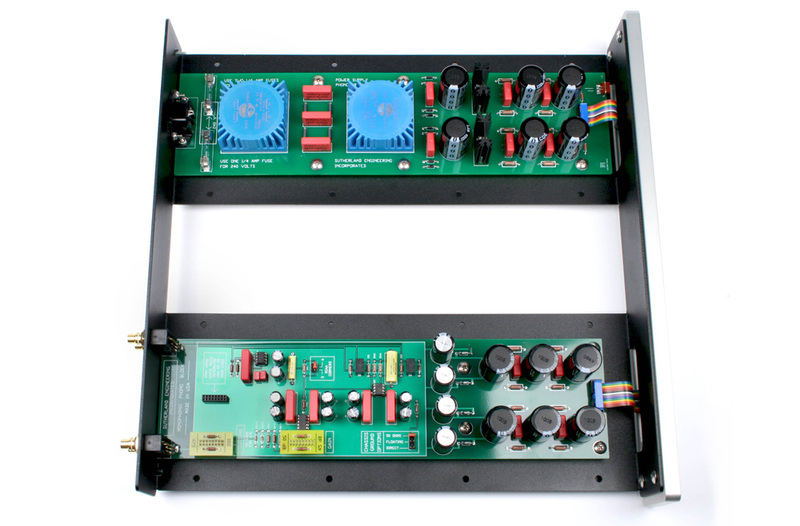 Their elevated performance is achieved by NOT cluttering the signal path with deleterious features. Complexity is not the path to purity. Elegant refinement is. I have to let you know how much I got a kick out of the Timeline. Not only is it a fun piece of audio jewelry, but works better than advertised. Within three minutes we had the new VPI HRX up to speed, or “correct” speed I should say. No strobe disc, and light, etc, just a few minutes staring at a bright red led light. What could be easier, and I now have a perfect speed locked into my speed controller for our turntable, dynamite. We are constantly playing with trials to see what we can drag up from the depths of an old piece of vinyl and have just pulled out a Crosby Nash, “Whistling Down the Wire” LP that must be at least 25 years old. Two minutes on the VPI 16.5 cleaning machine and on the table. This was a seriously warped disc, but the platter rim weight and center weight put the LP into a seemingly flat position. Dropped the needle and nothing in our digital front end can give so much satisfaction. You don’t have to be a kid to keep finding new ways to enjoy 25 minutes. I have rarely been able to achieve the level of quality jump in a new digital front end as we have now with the new VPI running through the Hubble, it is just amazing and very satisfying. Great work all the way around. Well back to work, oh wait, this is work. You gotta love it, thanks again. I have the pleasure of listen through your Hubble for many weeks now, and it has been enjoyable. Definitely, a BETTER PHD!! Yesterday I unpacked my Sutherland Phd after moving from Hawaii to the mainland back in the end of Sept. 2012. This is April 8. When I packed the amp I removed the batteries for fear they would leak and make a mess of things. The unit was packaged in the original shipping box it arrived in. When I unpacked it, it looked pristine. After inserting brand new batteries and anxiously hooking it up to the turntable (it’d been 6 or 7 months since I heard music through my system) it wouldn’t turn on. Disappointment You bet. I sent an email to Ron Sutherland asking for help. To my surprise, an hour or two later, Ron replied to my email with a couple of helpful suggestions. I followed the instructions, but unknowingly to me, I made a mistake in understanding them. In another email I asked Ron if I could call him and included my phone number in the email. Viola! The phone rings and Ron was on the phone! Nice guy. The kind of guy you wish you could sit down at a bar and have a drink with. We discussed the problem, and in a second Ron had the issue isolated and the remedy all in one. There was a faulty battery holder. We jury-rigged it in a way that will last for years to come, and the unit works perfectly and I listened to music the rest of the day. Kudos for Ron on a number of things. First and foremost, designing the Phd. I spent my whole life waiting for this thing and didn’t know it until I bought one and have been using it ever since. Next kudo is just the kind of man Ron turned out to be – pleasant, helpful, uplifting and smart! Next, I swear he was as happy as I was that his “baby” the Phd was all fixed up and ready to go. 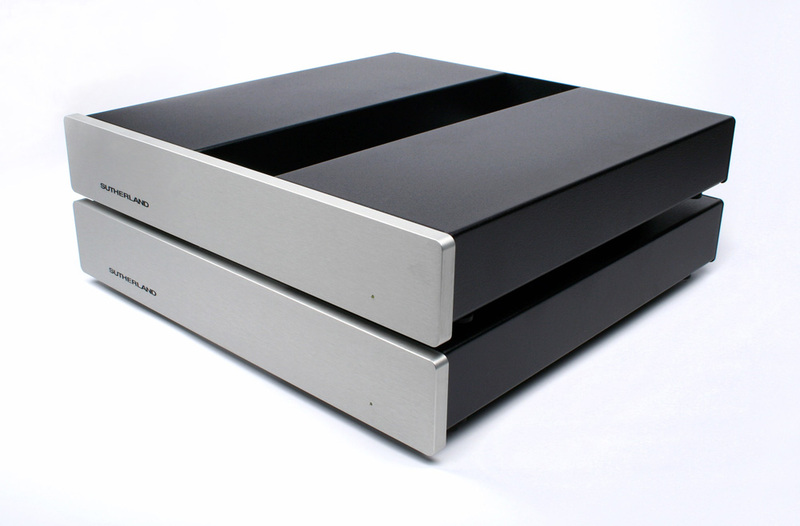 As it turns out, this whole experience was a positively memorable in my audiophile life. I had a good time. Way to go Mr. Sutherland! 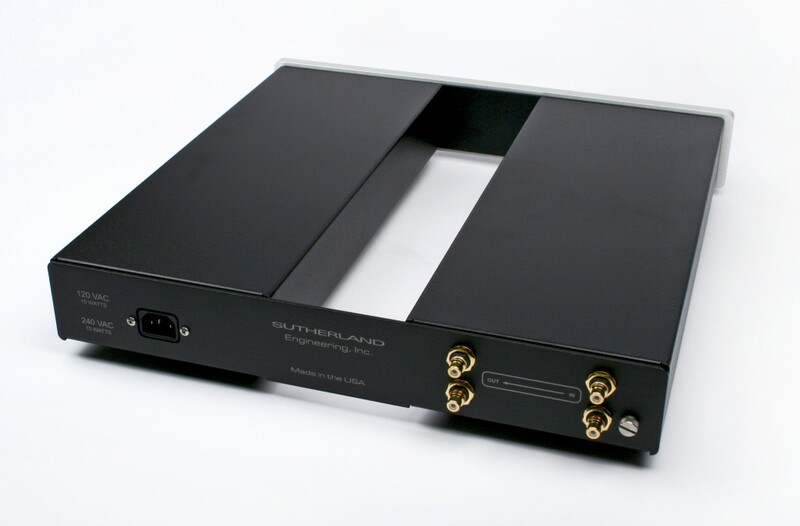 I love the Sutherland Phono Blocks that I purchased. I am currently using an inexpensive cartridge (Denon 103R) and they put out amazing sound. To fully take of their abilities I have decided to buy a better cartridge, power cables. I will email you a review when I have had a chance to listen to everything after the break ins are all done. 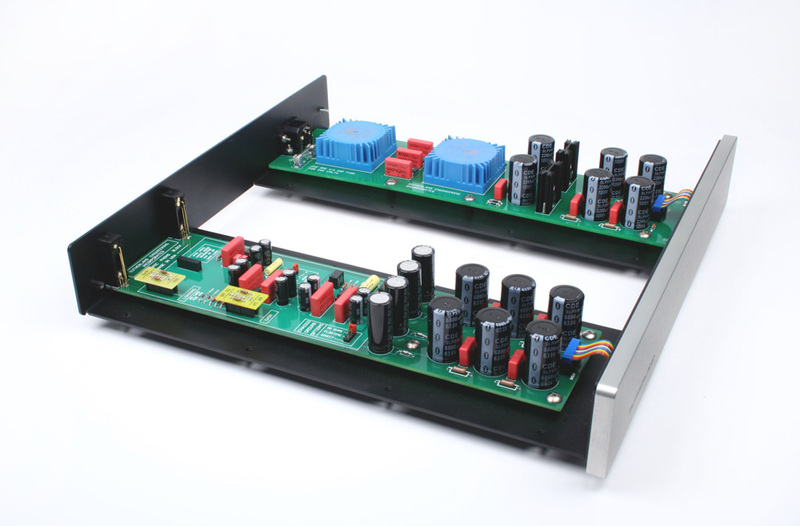 Even if nothing changes in it the best sounding phono preamp I have heard.